Publisher’s Note: Have you ever dreamed about finding buried treasure? Or a long, lost relative leaving you a $$$ bounty in their will? Well, sure, we all have, yet few of us ever actually experience those dreams. But what we have found, over and over again, is that there is sometimes gold buried in them thar hills — or in our game in libraries or publications long past forgotten. 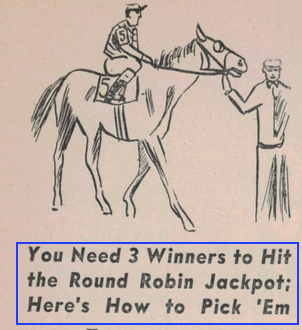 As you have probably realized by attending your local racebook, the average age of a horseplayer these days is solidly rooted in the 62 to 92 range. There just ain’t no ‘young-uns’ hanging around the racetrack anymore — a much different scene than most of us ‘oldsters’ recall, when racing was the only game in town. But on the upside, many players now in their golden years have been using knowledge to stay ahead of the game that they acquired in the golden years of racing. 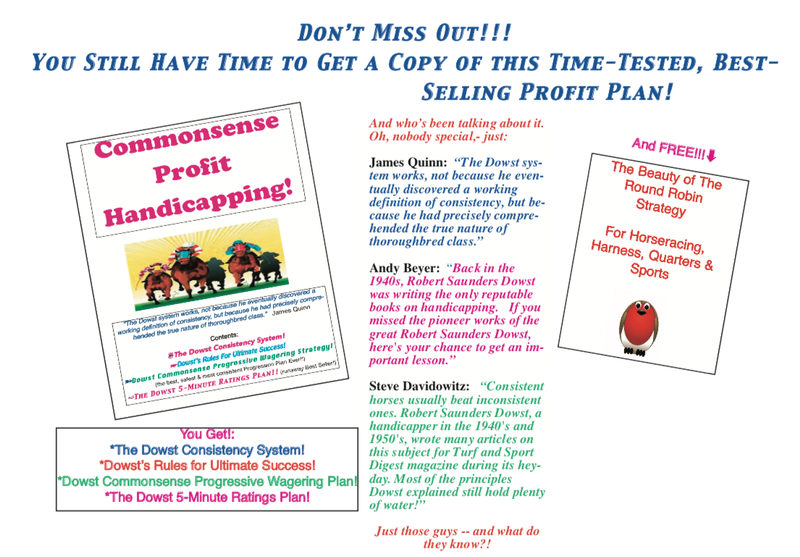 And, being the largest major vendor of handicapping products in existence, we have been graced with several of these winning methodologies from folks who either wanted to make a few extra bucks by having them published or simply wanted to share and/or have us do a thorough test on them. We have, in our inventory, some downright serious profit-making methods from the likes of Lou Holloway, Rudy Bilotta, Walt Owen, etc., etc. Remember, these are guys who didn’t have computer programs, or published trainer/jockey patterns, or bias stats, etc. They basically flew by the seat of their pants and were able to make money from a game that offered the truly knowledgeable a way to either make, or add to their income. 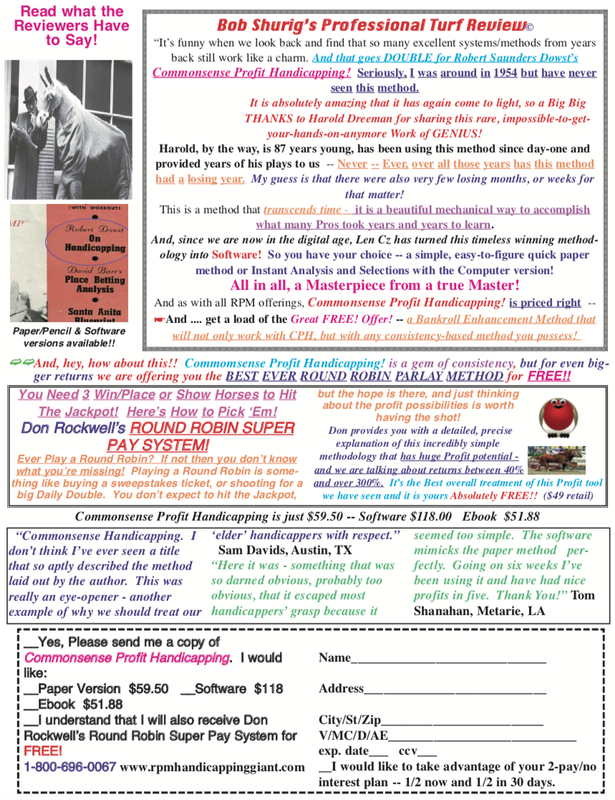 And just recently we received a real doozie from one of our long-time clients, 87-year-old Harold Dreeman. 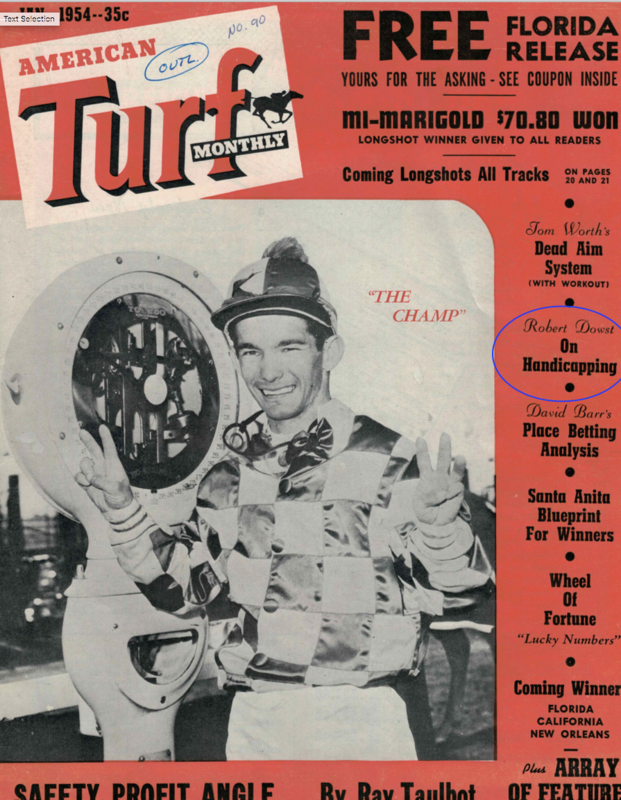 It is from an old ATM issue that as far as we can tell has not been available for decades and it is by who many call the ‘Father of Modern Handicapping’, Robert Saunders Dowst. Harold tells us he has been using this method for over 60 years now and has never experienced a losing season. 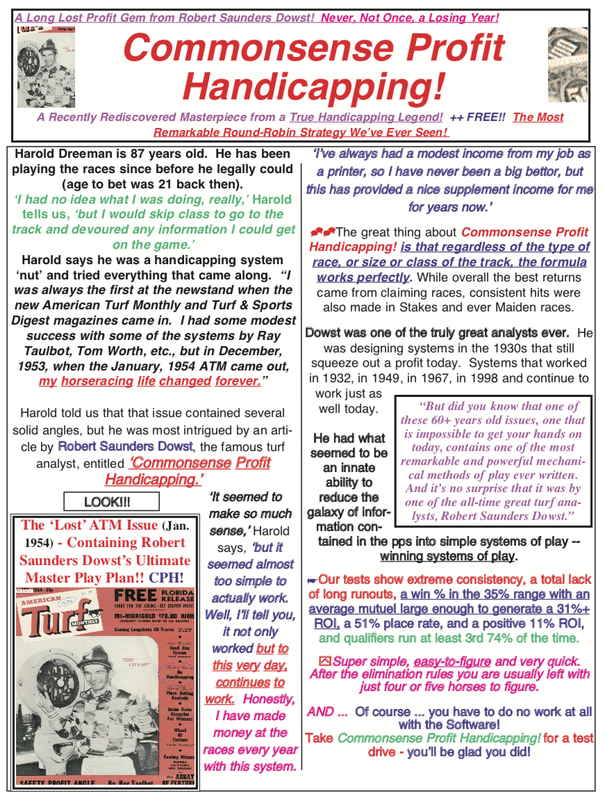 And, after Len ran the method through several lengthy tests, we have no reason to doubt Harold — every database test that Len did showed consistency, solid win/place percentages, solid profits, virtually no runouts and at times, big prices. >>>In addition, you will receive a nifty Show Parlay Method, a $49 retail value, completely FREE! 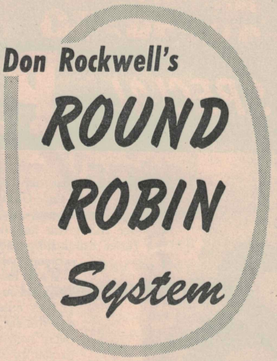 of charge — it’s called Don Rockwell’s Round Robin System! and can be used with this system, or any high% win/place/show method. All the details follow — we promise, this is one you will really get a kick out of! The Lost ATM Issue! Where Dowst’s Masterpiece was Published. ++++FREEEEE!!!!!! The Best Round Robin Strategy We Have Ever Seen!!! 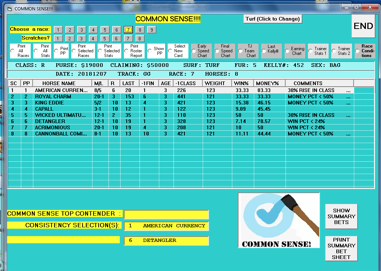 Instant analysis – with all the features that make RPM Software programs the most popular by FAR in the Industry!